Where can you find antique Pez dispensers, hot vintage heels and (finally!) the perfect lamp to match your weirdly patterned bedspread — all on sale for just a few bucks? I’ll give you a hint: It’s not Walmart. At least, not my Walmart. And if yours fits the bill… would you let me know where you live? No, it’s your favorite online flea market. Not only are regular flea markets wacky and wonderful, but their goods are usually pre-owned, pre-loved and dirt cheap. In short, they’re a Penny Hoarder’s dream. But it’s 2017. You turn to your laptop (or, let’s be real, your smartphone) for everything from takeout to taxi rides to a date for Friday night. So it’s no surprise there’s a whole world of online flea market shopping out there. And it’s just as quirky and addictive as the real thing — especially since you can see it all with just a few clicks. Of course, a few of these flea market sites are industry giants you almost certainly already know about. There’s eBay, which is officially over 20 years old. (I know!) Although it bills itself primarily as an online auction site, many of its listings are available for immediate sale — and it seems you can find just about anything you might desire, including William Shatner’s kidney stone or a small American town. And there’s Etsy, which is sort of like eBay’s quiet, artsy little sister who wears a lot of black eyeliner while weaving flower crowns. You probably already know that Etsy specializes in homemade, handmade goodies, but it’s also a treasure trove for lovers of all things vintage. In fact, Etsy has a whole category devoted to vintage items from games and toys to clothing — and it’s well-organized enough that you can specifically browse bolo ties, fedoras or marbles. Sites like Amazon and Craigslist also play a part in the game, connecting buyers to individual sellers in their area or abroad. But if you really want to get your hands dirty and score some killer (read: very weird) online flea market finds, you’ll have to look beyond the big guys. We checked out a variety of smaller online flea markets and compared inventory, prices and user experience to help you find the best deals at the digital folding table. A bit like a cross between Craigslist and eBay, Fleabay (a .net domain!) lists items from all over the world — and includes categories as diverse as rental properties and ride shares. There’s even a free stuff section. The list of prohibited items includes wine, credit cards and “human parts and remains.” Used airbags are merely “questionable,” though. Fleabay’s listings feature little more than an item description, location, the seller’s information and an expiration date. Shipping or local pickup is arranged on a per-listing basis, and you reach out to the poster directly. The most frustrating thing? At the time this article was written, a number of the categories were empty of listings — but there’s no way to tell that without clicking through. There’s also no baked-in way to make an offer on an item; if you’re interested, you’ll have to fill in an online contact form. Compared to other online flea markets, vFlea feels the closest to actually thumbing through junk until you find a treasure — before leaning across the table to make a bid. The interface is also a touch more polished. Each listing’s thumbnail specifies whether items are shippable or for local pickup only as well as an asking price. The platform has a built-in “buy now” and “haggle” option, and even an opportunity to “barter” with goods of your own. Items are organized by tags as well as categories, creating better searchability and organization. The site populates the number of listings currently available in each category in parentheses, so no mysteries there. Finally, vFlea still has some weird stuff available, although it draws the line at community events. For instance, you could make an offer on this hilltop timeshare in Indiana, which apparently can be shipped or picked up locally. The asking price is $21,000. Similar to Etsy, DaWanda lists handmade items, and the goods come from around the world. The site also features a catalog of DIY guides from upcycling and home decor to delicious-looking recipes. You can buy craft ingredients like yarn directly from the site, so it’s easy to give interesting-looking projects a go. Although Bonanza has a very similar interface to eBay, it doesn’t offer bidding or bartering options. It does, however, list categories for everything from home goods to collectables, including coins and paper money. While there is a vintage subsection under fashion, it was empty at the time this article was written. Don’t adjust your screen, and don’t worry: You haven’t been magically transported back to 1999. But despite its quirky appearance and premise — yes, you’re flea shopping in a tiny anthropomorphic flea’s house — Fleatique has some great vintage finds, including a “garage sale” (get it?) section with goodies under a dollar. My favorite offers include a “snapshot of paradise” and a single silver duck cufflink. You can also play with the site’s “personal shopper” feature, which scans daily uploads for up to four matching keywords if you’re after something specific. And you know, the more I think about it, a vintage-looking website is a totally appropriate stylistic choice for an online flea market. They might not be online flea markets, but these sites will still help you find awesome deals on everything you didn’t even know you needed. Rather than providing a digital platform for flea market shoppers, FleaQuest lists real-life flea markets, antique shops and vintage sales events around the country. So while it won’t help you satisfy your flea market craving right now, it’s a great tool if you’re aching for some real-world table browsing. 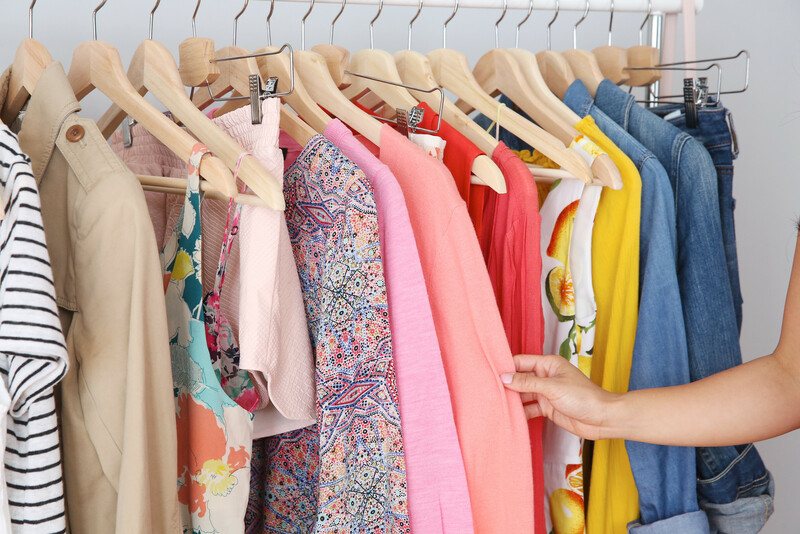 Although they’re not exactly online flea markets, per se, digital secondhand shops like ThredUp have a lot to offer if you’re looking for fashionable items on the cheap. You can buy (and sell!) gently used, high-quality, brand-name clothes and accessories for a fraction of the price you’d find in stores or online. Most of these online consignment shops require you to log in to browse their goods, but they’re free to browse and generally feature low shipping costs. Some, like Poshmark, even allow you to make the seller a custom offer — just like at a flea market table!